We already knew that Guardians of the Galaxy Vol. 2 was underway, but this makes it feel official. Chris Pratt posted this teaser photo on his Instagram page. 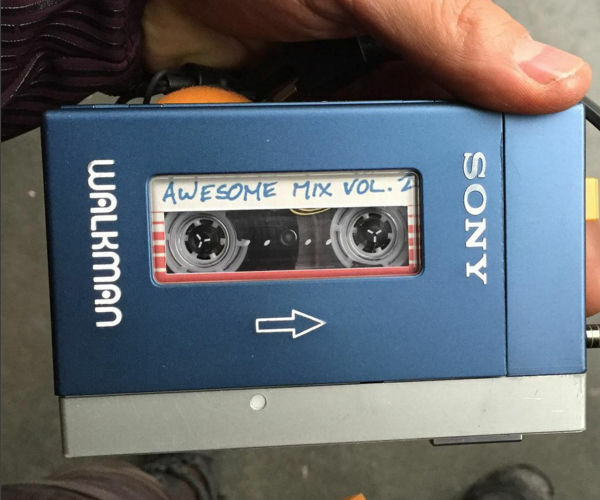 As you can see, he is holding Star-Lord’s Walkman, and loaded up inside is Awesome Mix Vol. 2. Awesome Mix Vol. 1 lived up to it’s name, and even though I had all of those songs in my music library already, I enjoyed them all over again. All of the songs are classics and they were perfect choices for the movie’s soundtrack. The music was essentially another character. So what does Awesome Mix Vol. 2 hold? We don’t know yet. I have some ideas about what I think should be included, but we will have to wait and see. Whatever they choose, I’m sure it will rock.